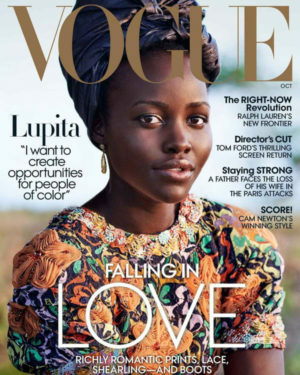 Soon after Beyoncé was revealed as the cover star for Vogue’s September issue, rumors started circulating that actress Lupita Nyong’o would be covering the magazine for October. It turns out the rumors were true. 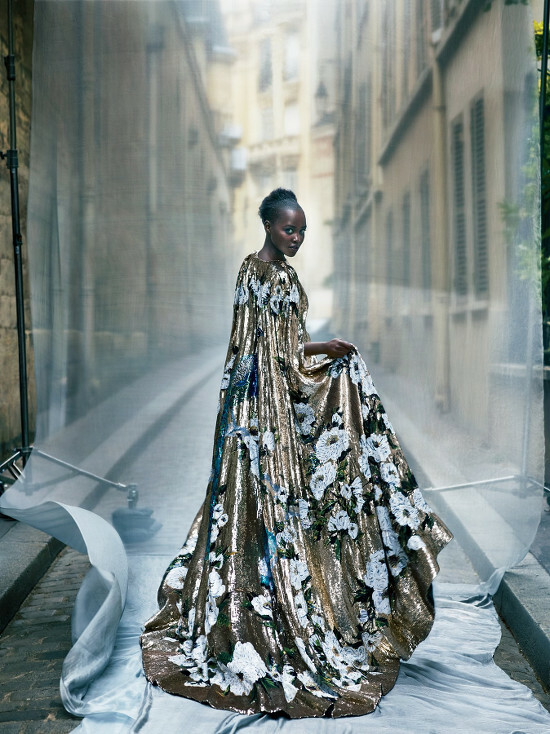 Shot by Mert Alas and Marcus Piggot, Nyong’o stuns in a series of couture looks by a range of premiere designers, such as Dior and Valentino. The Oscar winner also talked about her early life in Kenya, and her father’s political career. […]politics were as ever-present in the Nyong’o household as style. Lupita’s father, Peter Anyang’ Nyong’o, now a senator, was for a long period an opposition politician under the repressive Moi regime. He spent three years in self-imposed exile with his family in Mexico, where Lupita was born. 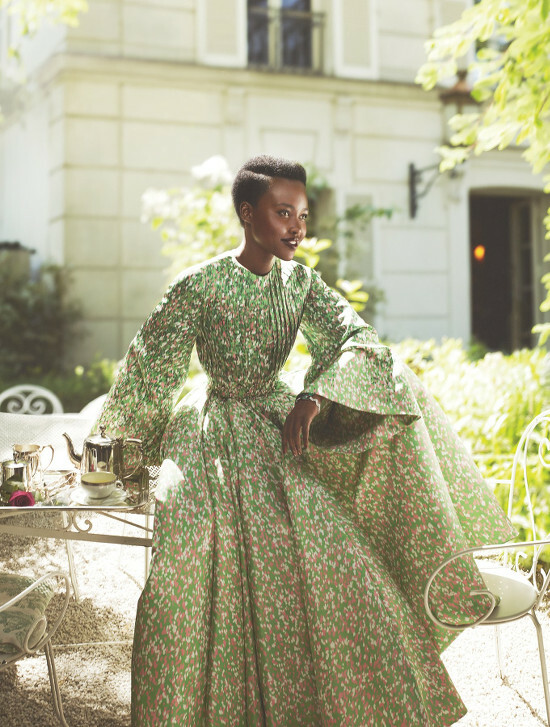 Lupita Nyong’o Covers Vogue October 2016. Images by Mario Testino. Lupita Nyong’o Shows Off Her Braiding Skills In An Exclusive Video For Vogue.